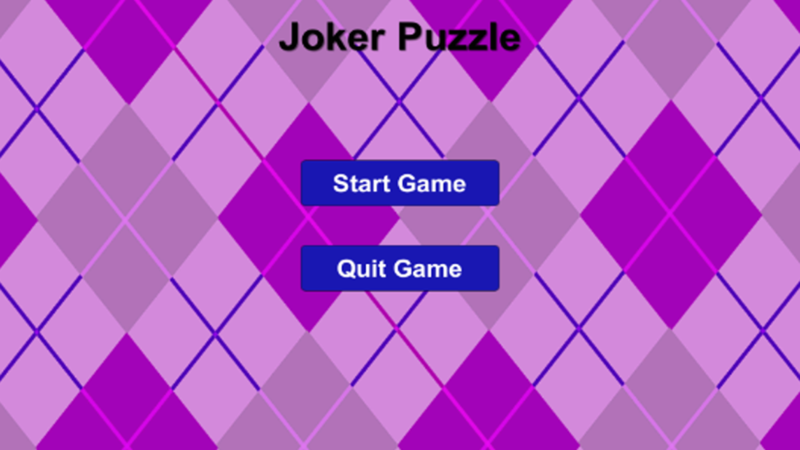 Joker Puzzle is a card matching game. Here, your role is to tapcards of 26 different pictures and find matching pairs. The numberof matches is 13. When you get a match, the number reduces until itgets to zero. In Rope Cutter, you cut the rope by the edges of each hook to earnpoints. Any Rope off the edges will give you a plus. As you arecutting the ropes, the time decrease until the game ends. The gametests how fast you are and your ability to cut the rope and earnpoints. Wingy Bird is a side-scroller game where the player controls abird. The player tries always to fly between rows of black hawkswithout colliding with them. The idea is that when there is acollision or the bird touches the ground then the game is over. Coin Reward is a side-scroller game where the player gets rewardedwith coins. The Player runs to get coins and power. At the sametime, he hides from the blocks. Whenever the player collides withthe block he loses power or dies. So in order to be alive, theplayer has to power up as he is running. Coin Reward is one of themost interesting coin games. Snappy Chopper is an arcade and a side-scroller game where theplayer controls a helicopter. You earn a score based on the numberof rocks you have passed. When flying, the player needs to becareful of the rocks and ground. Any collision ends the game. Thisis one the most interesting plane games you wound not want to miss. In Color Switcher, you just have to tap the ball as the circlerotates and cross the right color. When you cross the right color,you earn 10 points. You must look at the color pattern in thecircle carefully to avoid crossing the wrong color as this willrestart the game automatically. The best choice of Mahjong game on Google Play! Match identicalpairs, clear all the mahjongs, Enjoy it! Mahjong solitaire 2018become one of the most popular board game all over the world.Simple rules and addictive gameplay is great way to spend your freetime. Play the real Mahjong puzzle game. Match up traditionalMahjong tiles until all of tiles are gone in this Shanghai styleboard game. HOW TO PLAY • Match and remove all mahjong tiles tocomplete a board! FEATURES ● Hundreds of immersive levels tochallenge you! ● Beautiful and various layouts. ● Classic matchinggame play. ● You can play offline anytime. ● Designed for tablets& smartphones. ● utilize three groundbreaking power-ups. ●Google Play game services support. ● Enjoy gorgeous graphics, richsounds and regular free updates with new levels, tile sets andmore. More features you’ll treasure in Mahjong Solitaire: - Takingadvantage of innovative gameplay twists like Shuffle, which allowsyou to get out of a difficult situation, or bomb, a tool forblowing up multiple pairs of tiles. - Mahjong is always there foryou no matter where you are, whether at home, on the road, in aplane, or on a subway. - Mahjong is free to play, but you canpurchase In-app items like power-ups. Classic mahjong + inventiveextra challenges.Enjoy a new take in this addictive MahjongSolitaire adventure! Download the best Mahjong game now!